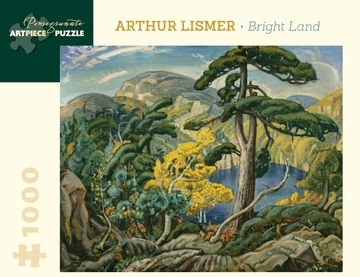 Arthur Lismer emigrated from Sheffield, England, to Toronto, Ontario, in 1911. Soon after, through his employment at Grip Ltd., he met Tom Thomson and other artists who would one day form the Group of Seven. Lismer often joined these artists on sketching trips to Algonquin Park and Georgian Bay, Ontario. Together they explored, through art, the unique character of the Canadian landscape. Inspired by nature and filled with national pride, Lismer was also deeply committed to art education. He established one of the most successful children’s art programs in North America, leaving a teaching legacy as richly colored and boldly expressive as his paintings.